FingerKeeper Industrial TPV - Door finger guard. Finger entrapment in doors can result in serious injuries that have long term effects and may require significant hospital treatment. Preventing such injuries is therefore important. 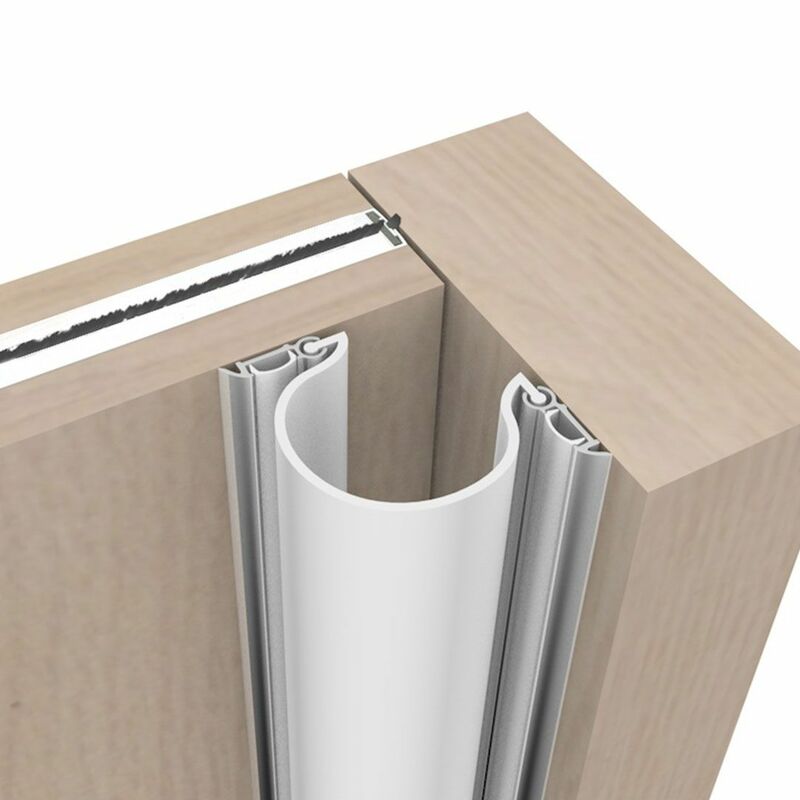 Finger trap protection should be installed in all hinged or pivoted door situations, where users can potentially get fingers caught between the door and the frame. All public areas including shops, hotels and fitness centres should be reviewed for potential risks. Schools or child care centres. Children suffer a disproportionate number of finger entrapment injuries because of their lack of understanding of the dangers presented by doors, young children may put their fingers into the gap between a door and its frame without any awareness of the possible consequences. Homes or residential facilities for the aged or disabled. 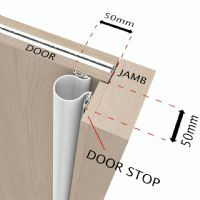 Those particularly with walking or balance difficulties often use the door frame as a support when negotiating a doorway and inadvertently put fingers into the jamb, this is especially true of those doors fitted with door closers. Where automatic swing doors are fitted, it is a requirement of BS EN 16005 that finger trap protection be used at the hanging stile(s) of the doorset. FingerKeeper Industrial TPV is a heavy duty finger-pinch protection device (anti-finger-trapping hinge guard). 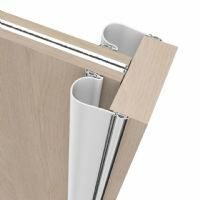 Manufactured from a TPV material fitted in an Anodised Aluminium carrier, that is supplied with self drilling screws and 2 x push-in screw concealing strips to match. The device is designed for demanding commercial & industrial environments. For use with interior or exterior timber or metal doors. 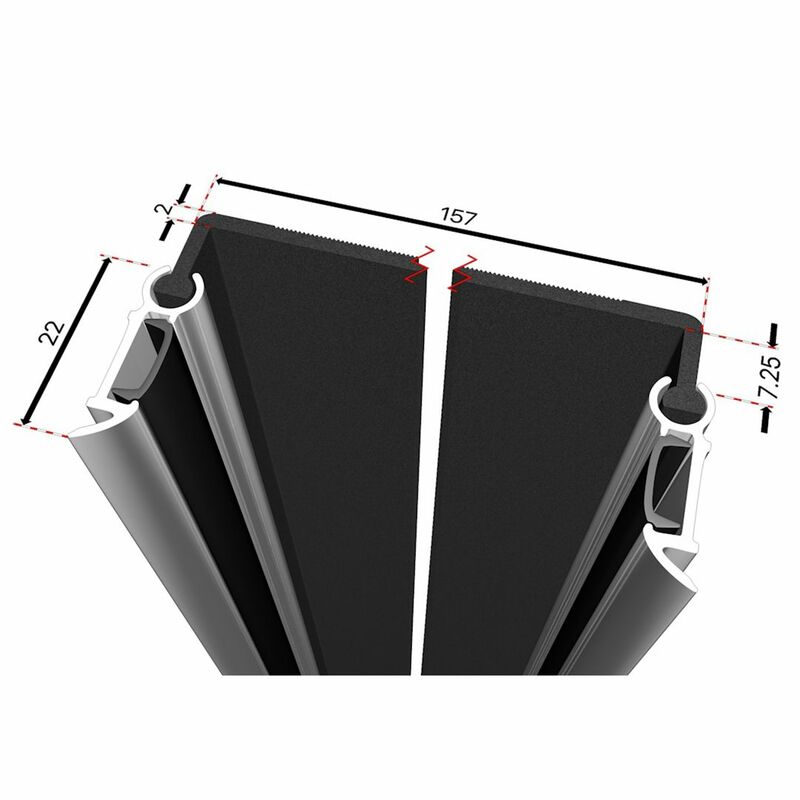 Slimline design and unobtrusive fittings also suits non-commercial settings and can be used by powered / security gate installers for gate finger guards. The device is also suitable for automatic doors. TPV Information: TPV is a compound composed of Polypropylene and EPDM rubber used in vehicle, white goods and weatherproofing applications. TPV has excellent resistance to common industrial chemicals. TPV has greater tear strength and resistance than EPDM. TPV can be readily recycled. For use with timber, steel hinged or pivoting doors. Permits opening angles up to 120 degrees depending on door configuration. Standard lengths 2100mm and 2500mm. TPV blind has good environmental temperature performance (both low and high). Anti finger-trapping guard suited to interior or exterior use. Excellent resistant to weathering and many common industrial chemicals. Low compression set and flex fatigue resistance. Longer and Wider Guard Options. Lengths: 2100mm (Standard) and 2500mm (Long). Widths: 157mm (Standard) or 257mm (Wide). Material: TPV (ThermoPlastic Vulcanizate polymer). Colours: Standard width guard - Black or White. Wide guard and Long guard - Black only. Anodised Aluminium guard strip carriers. Push-in trim, to conceal fixings, matches guard strip colour.